HoduSoft is an India-based company that provides call center businesses with VoIP and auto-dialing solutions. Its services include a predictive dialer, call routing, recording, call forwarding, analytics, and more. In this article, we cover HoduSoft reviews and pricing. Ready to get started? Request a demo. HoduSoft pricing is customized and prices are not published on its website. Pricing for similar providers start at $300 upfront for a standard hosted service, while other more extensive versions cost $500+ depending on the number of channels. Interested users may contact the support team for detailed pricing information. Ready to get started with HoduSoft? Request a demo. As of the date this article was written (April 08, 2019), there are very few positive HoduSoft reviews available online. However, one user said that he likes its predictive dialer feature that is useful for managing high call volumes. He also commended its skill-based mapping feature that helps him transfer calls to the right support agents. There are no negative Hodusoft reviews available online as of this writing. If you are a past or current Hodusoft customer, leave a review to help other business owners who are deciding whether or not to use the company. 6 Best Auto Dialer Software for Small Business: Automatic dialer software automatically dials lists of phone numbers and is typically used in cold calling sales. In this guide, we listed the six best auto dialer software for small businesses in terms of price, call automation, CRM integration, and more. How can HoduSoft help optimize dial rates of agents? HoduSoft offers an auto dialer software that connects agents to live calls facilitated by real people. It automatically drops calls that are answered via voicemail or answering machine. This helps optimize dial rates and increase the efficiency of outbound calling. How can HoduSoft streamline extremely high volume of calls? HoduSoft uses an advanced automatic call distribution (ACD) system which evenly distributes customer calls among available agents. It uses predefined protocols to automatically route calls to available agents and ensure that everyone gets at least the same amount of calls. 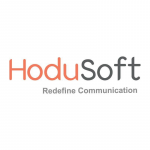 Have you read these HoduSoft reviews and are still not sure if it’s the right fit for you? Read our reviews of all top auto dialer software or check out one of these three HoduSoft competitors.